Chelsea midfielder Oscar will move to China in the January transfer window for a reported fee around £60m. According to the official club statement, Chelsea have agreed terms with Chinese club Shanghai SIPG for the transfer of their Brazilian midfielder Oscar. The estimated transfer fee is expected to be around £60m. The 25-year old will join Shanghai SIPG in the January transfer window. In addition, he will be joining former Chelsea boss Andre Villas-Boas at the club, in what is considered as the latest big name move to China. In 2012, Oscar joined Chelsea from Brazilian side Internacional for a fee around £25m. Since then, he has played 203 games and scored 38 goals for the Blues. During his four year spell at Stamford Bridge, the midfielder also won a Premier League title and a Football League Cup. Moreover, in 2012-13 season, he helped the Blues win the UEFA Europa League. 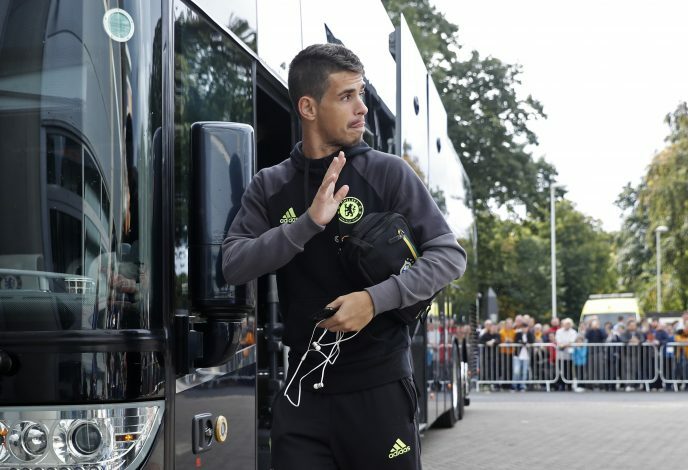 But under the new Chelsea manager Antonio Conte, the creative midfielder has struggled to get into first team. The news regarding Oscar’s move to China was rumoured earlier this month, and he was 90% certain about the move. Today, the Chinese side confirmed that Oscar “will arrive in Shanghai in the coming days to officially join SIPG”. Chelsea’s official website issued a statement thanking Oscar for his service, and also wished him luck.